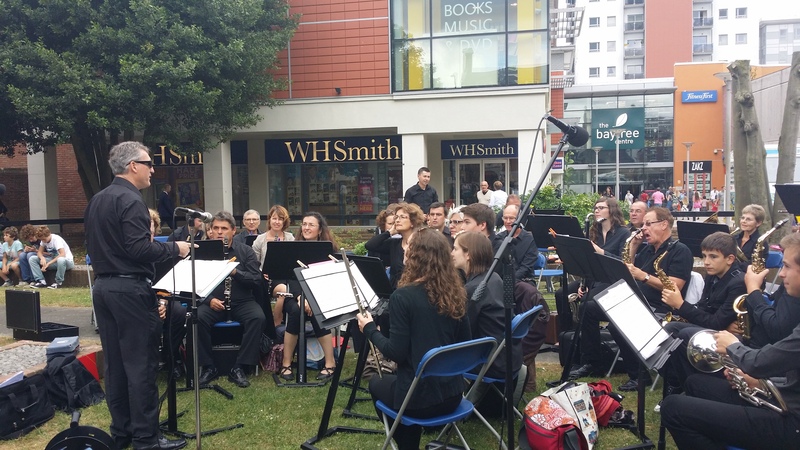 L’Harmonie du Val de l’Indre visited Brentwood Arts Festival this weekend and treated us to a street performance on Saturday afternoon, and a concert with the Brentwood Phoenix Youth Orchestra on Sunday evening. They had a fantastic time here, enjoyed the Elgar opening concert and the Shakespeare show at Ingatestone Hall, and treated us to great music. Special thumbs up to their Brentwood hosts who went the extra mile to make them feel welcome! 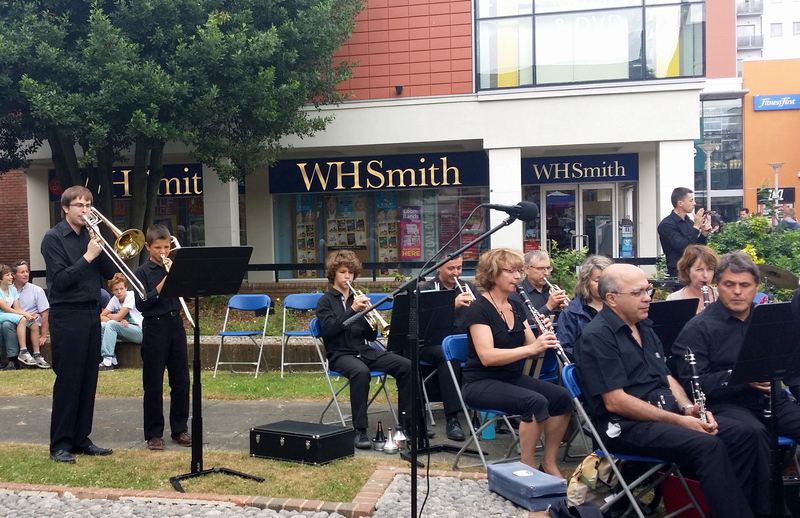 Here are a few photos en souvenir; videos posted on our facebook page and on Phoenix FM blog here!